Talk about a wild spring break. 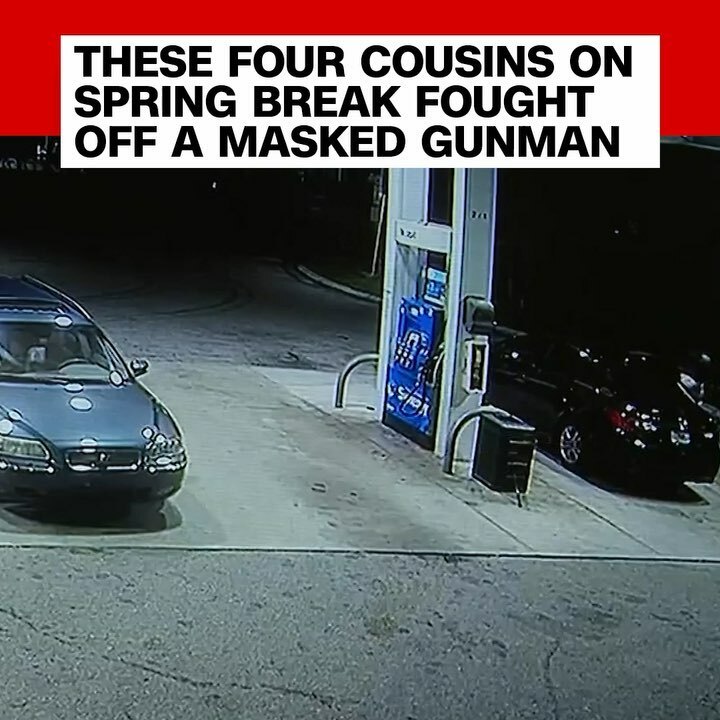 These cousins from Indiana were visiting South Florida when a masked gunman approached them at a gas station. Surveillance video caught the four men fighting off would-be robbers and wrestling a gun away from the armed man. Aric Wisbey, who has a concealed-carry permit in Indiana, said he was just hoping the gun didn’t go off. “I didn’t want to have to shoot these guys. You know, those are sons and dads and cousins and family members to some other people,” he said. Police arrested one of the suspects but were still searching for the gunman, according to the Broward County Sheriff’s Office.